V8 Supercars has added another great Australian brand to its growing list of major partners with United Petroleum announced as the Official Fuel Supplier to the sport. 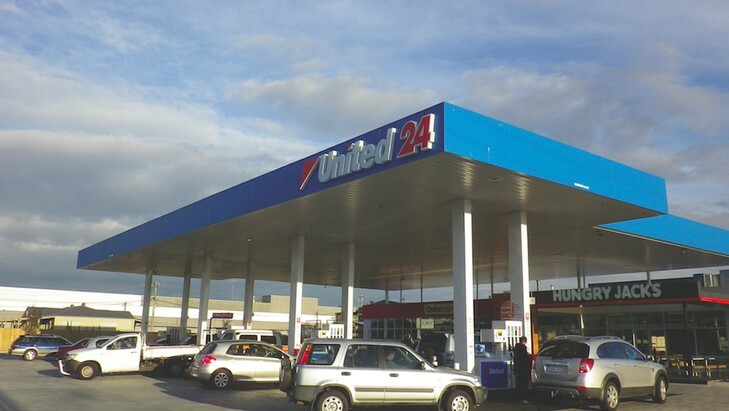 United Petroleum is an independently owned Australian company, which supplies millions of customers with competitively-priced fuel and convenience services. It is also a major producer of ethanol, with which V8 Supercars race. In a multi-million dollar three-year arrangement, United Petroleum will supply the entire sport with a premium high-performance Ethanol 85 Race Fuel and also come on board as a major partner of the sport. “This is a wonderful deal for Australia’s largest independent petroleum retailer with Australia’s premier motorsport category,” V8 Supercars CEO James Warburton said. United Petroleum will leverage the sponsorship within their national network of Service Stations and convenience stores, in a strategy which is perfectly aligned with V8 Supercars’ national footprint. United Petroleum is one of the fastest growing independent companies in Australia, specialising in the retail and wholesale fuel markets; convenience stores and ethanol manufacture; generating employment for more than 2,000 Australians. They will supply the Championship and Dunlop Series fields with high-performance 85 per cent ethanol fuel, also promoting sustainable and renewal fuel to the community. At track, the fuel will be distributed by Race Fuels.